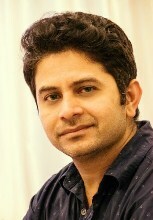 Abdul's career in the media started in 2003 as an EPG programmer in ARY Digital Network. He then decided to acquire a position that deals with doing research in all aspects which will utilize his analytic mind. In 2006, he eventually landed a job as a Research Executive in a developing Arabic TV Station named Al Aan TV. In Al Aan TV, Abdul became a part of channel launching and dealt extensively on the Channel projects which gained popularity and viewership thus making the said TV station successful today and is included in the top 10 here in UAE and KSA. In 2010, he then worked as a Research Specialist in Abu Dhabi Government's initiative for a new TV Group. With all his expertise in handling Media, in 2011-2013, he worked as a Freelance Research Analyst for Integral (a part of Bells Communication, KSA) Ipsos and Al Wataniya Group. He loves to listen and talk about world news & affairs.